Acuity has brought in veteran sales specialist James Raiski as its latest hire. Acuity Trading, a sentiment-based technology company, has added James Raiski as the newest member of its UK team, appointing him as its Sales Director with immediate effect, Finance Magnates has learned. Acuity Trading specializes in analytics and sentiment-based trading systems – the group focuses exclusively on bringing big data solutions to the broader retail investment community and caters to both online brokers and platform providers. In his new role, Mr. Raiski will focus on big data, and news analytics for financial markets and institutions, whilst being based out of London. 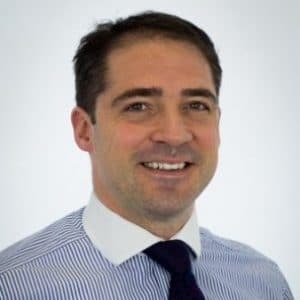 Prior to joining Acuity Trading, Mr. Raiski worked at several retail and institutional foreign exchange venues – he joins the group from ThinkForex, having worked as its Director of Sales in the UK for almost two years. Additional stops also include ADS Securities London in its Institutional Sales division, and London Capital Group (LCG) in a similar role. He has also garnered other sales positions at ProSpreads, IG Markets, and HI Futures, part of a career dating back to 2000, according to information made public on his Linkedin profile.